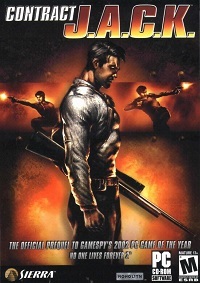 Lithtech is a game engine which was initially developed by Monolith Productions in collaboration with Microsoft. Monolith later formed a separate company, LithTech Inc., to deal with further advancements of the engine technology and currently, after a change of its corporate identity, LithTech Inc. is known as Touchdown Entertainment. 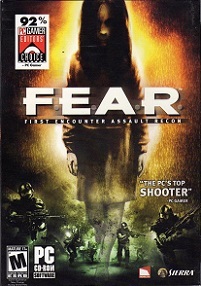 A number of different video game developers, including Monolith itself, have been using Lithtech to power their first-person shooter games, establishing it as an alternative to other products, such as the Quake and Unreal engines. The Lithtech engine latest incarnation has been codenamed Jupiter Extended or Jupiter EX for short. As of February 2011, the Touchdown Entertainment website reverted to an 'Under Construction' state. As of March 1, 2011, the website appears to be a domain placeholder. 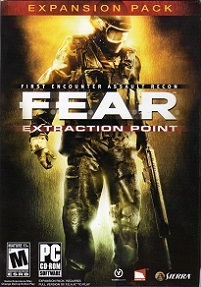 Originally the Lithtech engine was supposed to be called DirectEngine, as Monolith was developing it for Microsoft to be included as a 3D engine for use with Microsoft's DirectX technology. After failing to secure the deal, Monolith continued development on their own and were able to license the engine, officially renamed to Lithtech, to other companies. Later[when? ], after a corporate reorganization, the Lithtech team was split off into a separate company, LithTech Inc., which is now known as Touchdown Entertainment. Starting with Lithtech 2.0, Lithtech Inc. began the process of creating many different versions of the engine. 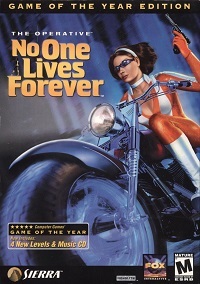 Monolith released their game No One Lives Forever (NOLF) featuring this version of the engine, however it was later revised to Lithtech 2.2 whose fixes were included in the latest NOLF patch. The networking code in 2.0 was commonly considered to be buggy. The LithTech team then continued to improve version 2.2 for its licensees, creating first Lithtech 2.3 and eventually Lithtech 2.4. Lithtech had a brief stint with Real Networks, developing a custom version of Lithtech which was partially based on Lithtech 2.2. The new engine was called RealArcade Lithtech (aka Lithtech ESD) and, among its features, it supported streaming media for in-game billboards/ads, and could be used with RealNetworks' gaming site. At one time, RealArcade Lithtech could be licensed by developers if they signed an agreement with Real Networks. This engine was used on an internally-developed title, Tex Atomic's Big Bot Battles. 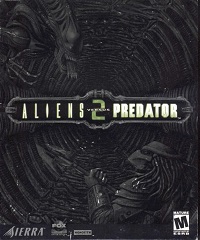 However, for use of Monolith, LithTech Inc. developed a different engine to be used specifically for the company's newest title, Aliens versus Predator 2. 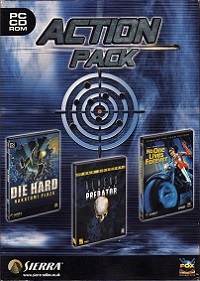 This release was called Lithtech Talon and was based on Lithtech 2.2, rather than Lithtech 2.4. Because of this choice, Lithtech 2.4, RealArcade Lithtech, and Lithtech Talon became largely incompatible with each other. 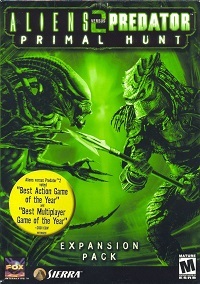 However, reviewers still thought of it as inferior to Unreal or Id Tech. Lithtech Talon's biggest selling point lay in its reasonably good multiplayer support, more efficient when compared to prior versions of Lithtech multiplayer that featured poor networking code. However, Talon was intended as only a partial step towards the true next-generation version of the Lithtech engine. 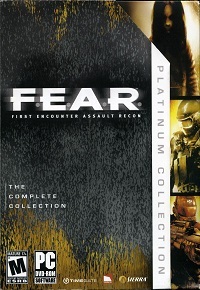 By 2003, Talon had become outdated, but was still being licenced. Lithtech 3.0 was being developed concurrently with Talon, but, along with its revisions, Lithtech 3.0 would largely be considered an internal version of the engine. 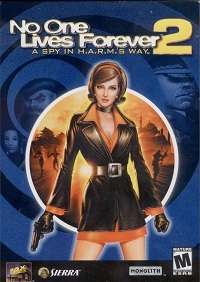 While it was sent to licensees, no games were finished on it. Lithtech 3.x was merely a "stop-gap" version only used as a demonstration of the (now vaporware) Monolith game, Shogo II. The primary feature announced for Lithtech 3.x was the Distributed Object System, a new system for MMORPGs and multiplayer. Unfortunately, Lithtech 3.x was also plagued by a significant number of bugs and problems and all games developed with Lithtech 3.x would eventually convert to the newer Lithtech Jupiter or to Talon. With the demise of the 3.x release, Lithtech Discovery was created as the true MMORPG version of Lithtech. Discovery improved upon the working technology from Lithtech 2.2, but also included the Distributed Object System which was the centerpiece of Lithtech 3.x. 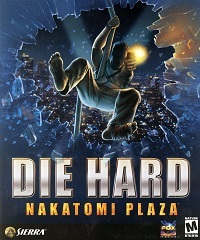 The only game title to be powered by Lithtech Discovery has been The Matrix Online, but it should be noticed that this version of the engine was never licensed to any other developer besides Monolith. Lithtech Jupiter was developed as an alternative to 3.x, but was not branched off of it, the engine instead being completely overhauled with the release of Jupiter. In some ways, the original version of Jupiter was even more technologically advanced than its competitors, since it supported Shader Model 1.x and included a visualization tool, whereas at the time Unreal and Quake only supported CPU-based shaders. However, without the Distributed Object System of Lithtech 3.x, Jupiter started its life with virtually unusable multiplayer support. 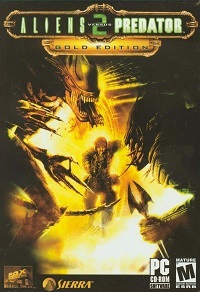 A custom version of Jupiter was made especially for Monolith, for use with their Tron 2.0 game; this release was codenamed Lithtech Triton. Eventually, Lithtech Triton's new features were merged back into Lithtech Jupiter for licensees. 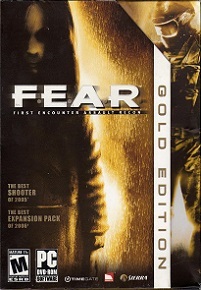 As of 2005 the latest iteration of the Lithtech engine was Jupiter Extended (or Jupiter EX for short), which was featured in F.E.A.R. 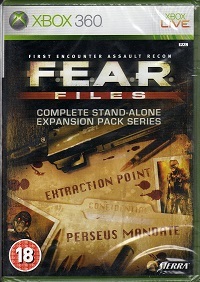 and Condemned: Criminal Origins, both developed by Monolith. 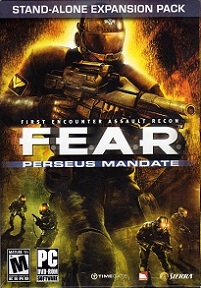 Compared to its precursor Jupiter, the Extended version was driven by a new DirectX 9 renderer and has seen some other major advancements, including the addition of Havok physics to simulate realistic physics. Along with Havok's character dynamics, Jupiter EX includes also the "Havok Vehicle Kit", which adds support for common vehicle behavior.